Continue straight down Williams Avenue and look to your right to the large white frame building at 205 Williams Avenue. This building was known as the Public Inn. 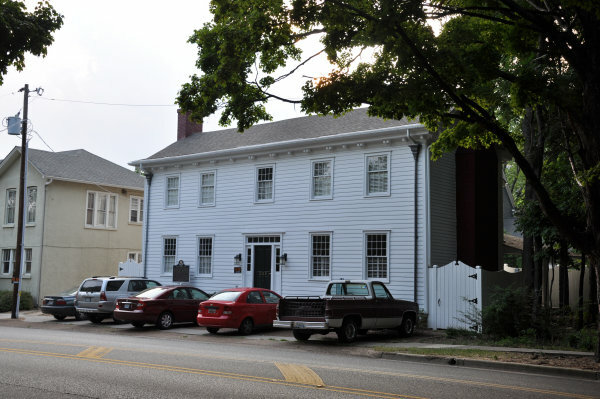 This building was opened as the Public House for travelers and a few boarders in the best manner and on the most reasonable terms about 1818 at its then location, around the corner on Madison Street. How convenient it might have been for the overworked legislators, working on the Constitution, to retire for food, drink and a room to share, sometimes three to a bed. The building was moved in 1926 and has been here ever since. Recently restored with a luxury condo upstairs. Constructed circa 1818 by John Adams at the NE corner of Madison St. and Williams Ave. 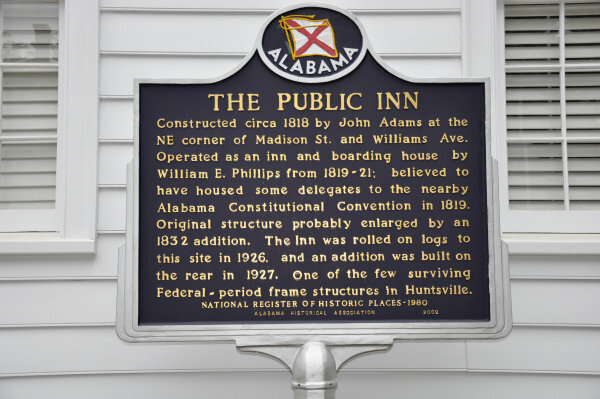 Operated as an inn and boarding house by William E. Phillips from 1819-21; believed to have housed some delegates to the nearby Alabama Constitutional Convenion in 1819. 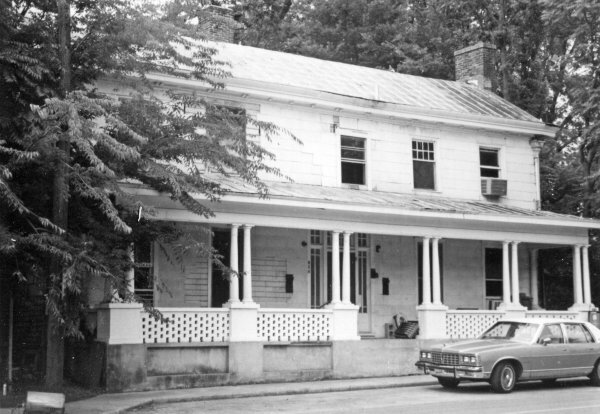 Original structure probably enlarged by an 1832 addition. 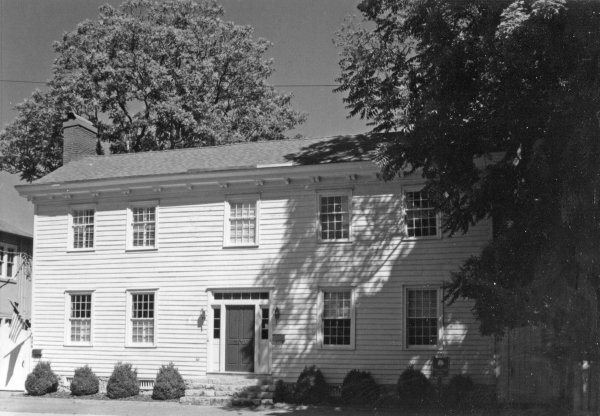 The Inn was rolled on logs to this site in 1926, and an addition was built on the rear in 1927. One of the few surviving Federal-period frame structures in Huntsville.